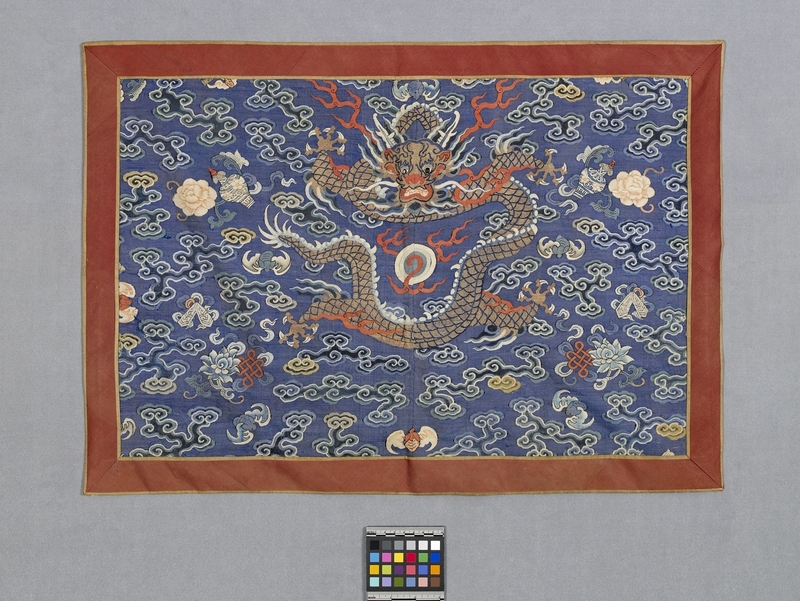 Item number 804/3 from the MOA: University of British Columbia. Gold dragon encirling flaming white and blue circle, flames around dragon. 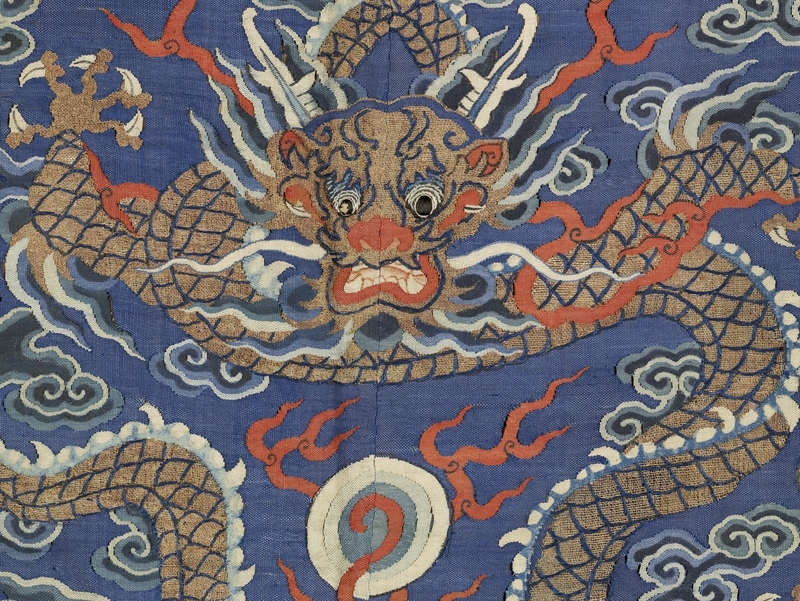 Blue clouds, bats, pink and blue flowers, Vase and red knot symbols surround dragon. Bordered on all sides with red-brown silk edged with yellow brown silk. Center seam. Reverse side lined with brown cotton.